The main voices behind the Star Wars: The Clone Wars animated series are also coming to Star Wars Battlefront II, starting with the October 30 General Grievous update. While Star Wars has been moving ahead with a whole new trilogy, there's also been a recent resurgence in love for the prequel era. No, not for the movies. Oh, lord no! It's towards Star Wars: The Clone Wars, the acclaimed animated series that's set between Episodes II and III. On Wednesday, the folks at DICE continued its dedication towards this era of Star Wars lore. 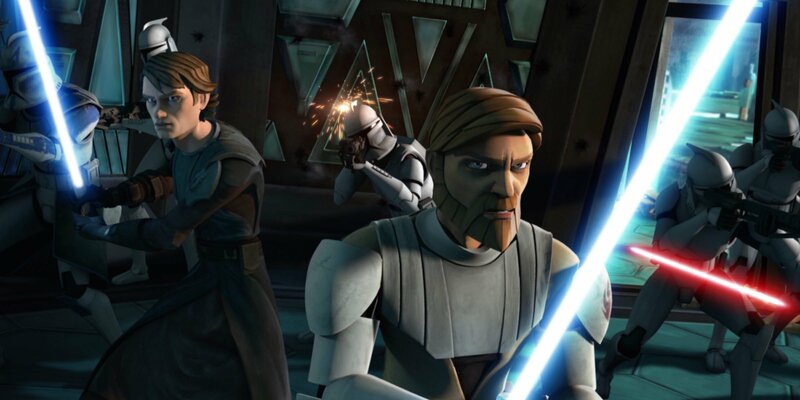 With General Grievous set to arrive in the days ahead, DICE announced that the full Clone Wars voice cast will return to reprise their roles. That includes Matthew Wood as Grievous, with James Arnold Taylor returning to Obi-Wan Kenobi for the November update, Corey Burton voicing Count Dooku for the January update, and Matt Lanter reprising his role as Anakin Skywalker in a February update. For more on the voice cast jumping on board Battlefront, check out the Star Wars Battlefront website. The General Grievous update will hit all Battlefront II platforms on October 30.